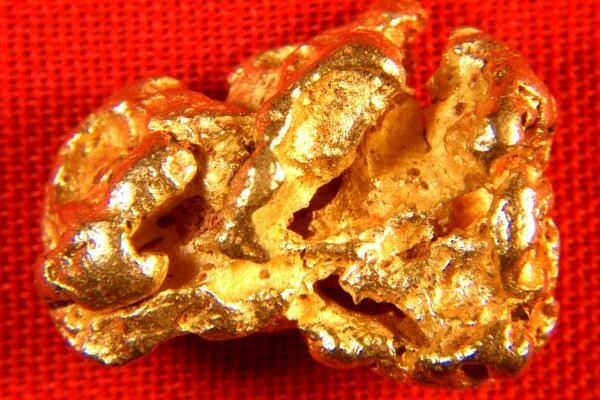 This is a beautiful and rare natural gold nugget from Western Australia. It weighs 5.7 Grams (88.0 Grains) and is 5/8" (16 mm) long. In the first photo you can see elongated octahedrons with distinct facets. They look like claws. 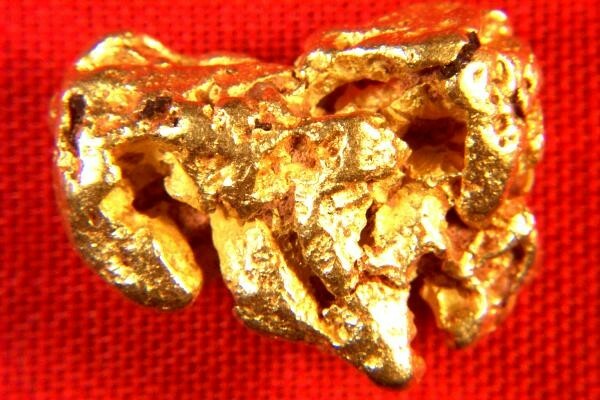 Australian Gold Nuggets have a gorgeous color because they are so pure. 22KT to 23 KT (92% to 98%) purity is common with hand selected gold nuggets like this with no mineralization.